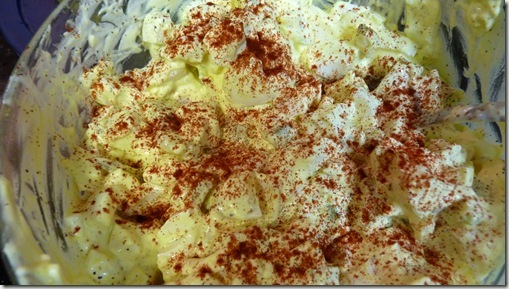 You are here: Home / Recipes / Lunch / Turkey Egg Salad! 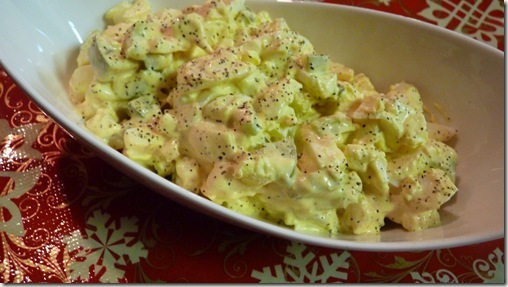 My friend Susan is back with a great recipe for Turkey Egg Salad! 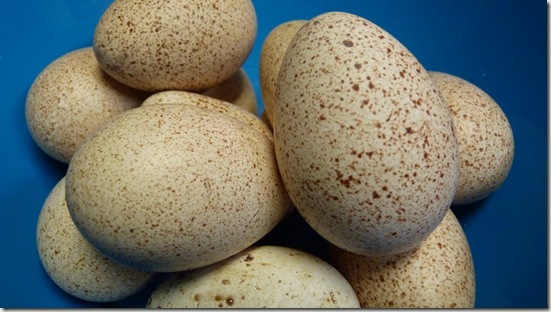 I was given the most beautiful turkey eggs the other day by some friends who have a male and female turkey. Turkey eggs! Who knew people ate turkey eggs? I had no idea they tasted just like chicken eggs and they are at least half again as big, if not twice as big. Are these beautiful or what? 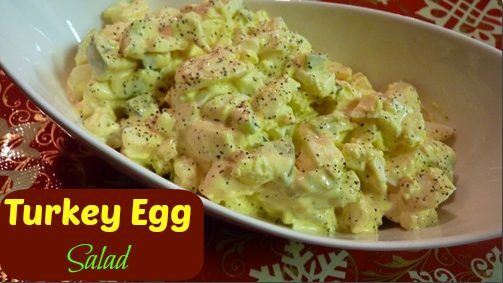 So, I thought I would share my turkey egg salad with you, keeping in mind that you can substitute chicken eggs……cause it might be hard to find some of these beauties. 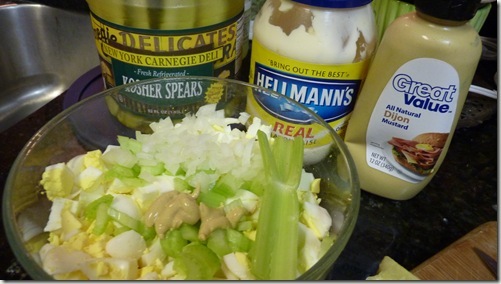 Kraft or Hellman’s Mayonnaise….enough to make it the creaminess that you like. I think I used about 1/3 cup but I never really measure it. If you want freshly made mayo, click here. 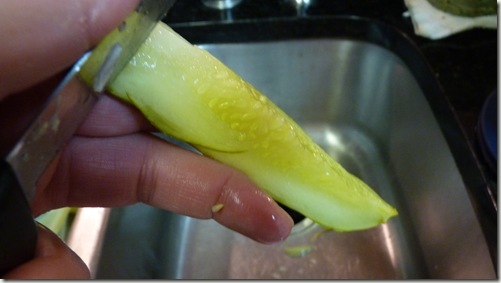 Strip the seeds from the dill pickle. Chop it and the veggies in small pieces. Stir in mustard and mayo and mix until creamy. Top with salt and paprika and stir together. Top with pepper. Serve over tomatoes, toast or crackers.